A solar water pump is ideal for those choosing to live away from conveniences such as accessible water and utilities and even a consistent source of power. There is no greater peace than living “off-the grid” on your own property. However, retrieving one’s own water may become a nuisance, as living away from common utilities makes it much more difficult to access water. In some instances, secluded areas have access to grid power enabling one’s well services, but this access is sometimes limited as it may be far away and expensive. Using water well pumps achieves the same affect, with no need to depend on anything but your own property and the occasional checkup from A-1 Arthur’s Well Service in Kingman. In beautiful Kingman, Arizona, it is hard to see why anyone would not choose to live in a secluded area far from city-living. There is really no need, when many “off-the-grid” homes are powered by generators, solar or wind power. Being self-sustaining is a part of the beauty of enjoying our desert scenery. When it comes to choosing what type of off-grid system you should use to power your water well, you have several options depending on water depth, water use, size of your intended power system, home energy use, whether you already use a generator, and your budget. If your home is equipped with a solar or wind power system then it is best that your water system be powered in the same manner; this method comes in handy when the water requirements of your environment are modest or the power system in use is large. If your home is equipped with a solar or wind power system you also have the option to use a separate engine-driven generator to power your water system. This method is useful when the power system to your home is too small to run the water system on it as well or the water requirements of your environment are demanding. You can also maneuver your water wells system to be powered by generator, if your home is already powered in such a manner. It is also possible to enable your water system to be powered by solar or wind power to match the manner in which your home is powered. Pumping water without electricity can save you from completely wrecking your budget. Solar water pumps are extremely practical in warm climates where the sun is shining consistently, so why not use the energy the Earth offers? Clean and efficient, a solar water pump does not pollute your ground water with harsh gas-powered pumps and they work quickly to produce water on the sunniest days. Possessing a long-life, these pumps are ideal for those living in a secluded flat-terrain area where the sun seems it will never stop shining. We have tons of knowledge on the subject and promise to keep you from going thirsty. 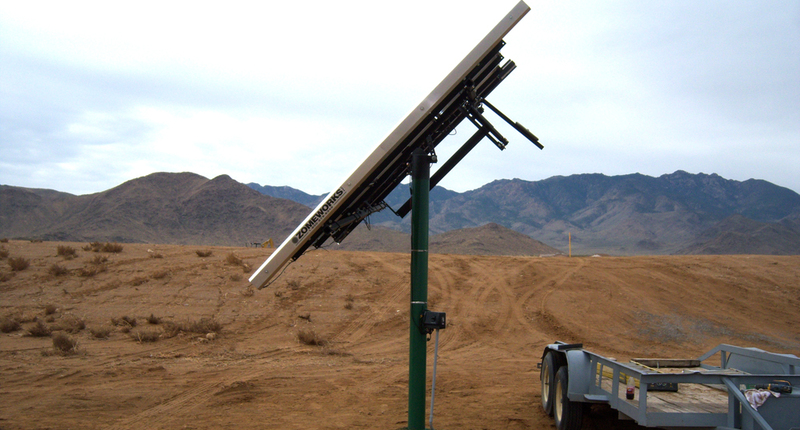 Give A-1 Arthur’s Well Service a call to receive a free estimate on a solar water pump.